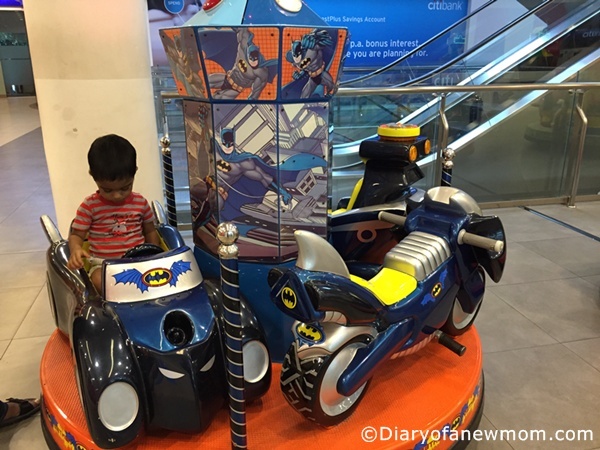 Kiddie rides are so much fun and my son loves to play with such when we are in any shopping mall. Whenever we are at a shopping mall I spend time with him around kiddie rides and he enjoys walking around, riding and talking with the characters. Kiddie ride with Sesame Street Big Bird Express! 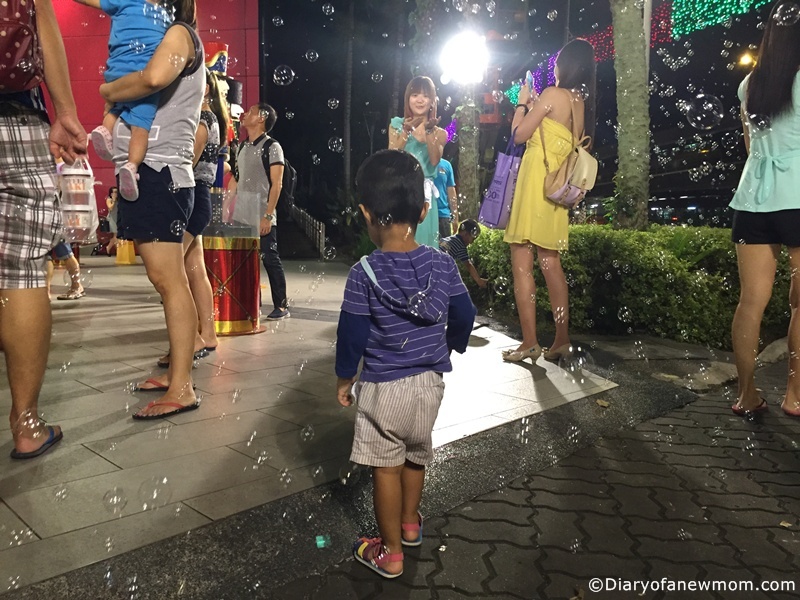 When we visited AMK Hub last week to see the Balloon Candyland, we spent the day there in the shopping mall. 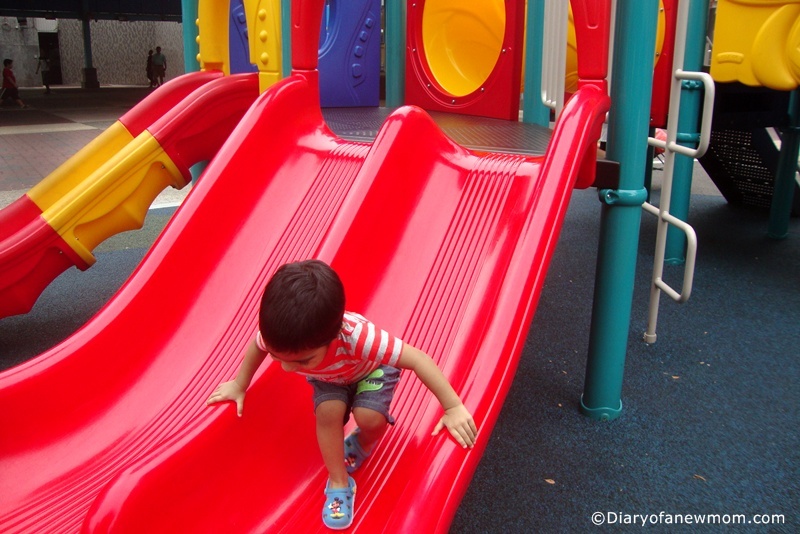 So, my son had the chance to play with kiddie rides at AMK Hub kids play area leisurely till he gets bored. 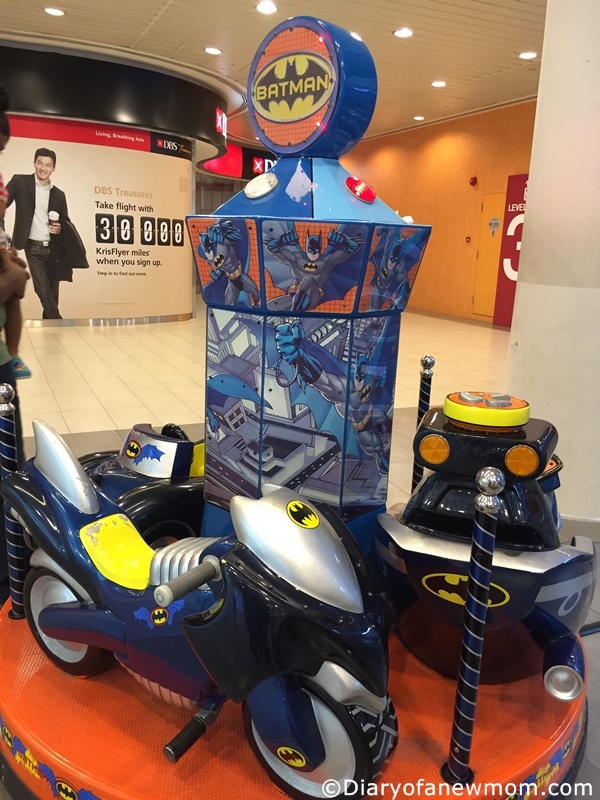 Although these kiddie rides are at a side of level 3,it is like a small indoor playground for kids which they can spend time with their favourite charactors.This time, as he is nearly 3 years old, he knows names of most of the characters in these kiddie rides. 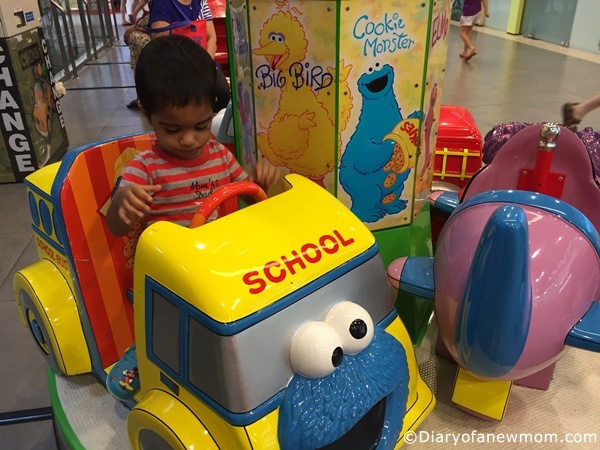 He was so happy to meet the friends in Sesame Street and talk and sit with them.These kiddie rides with Sesame Street characters are bright coloured,beautiful and cheerful!A really fun for kids! 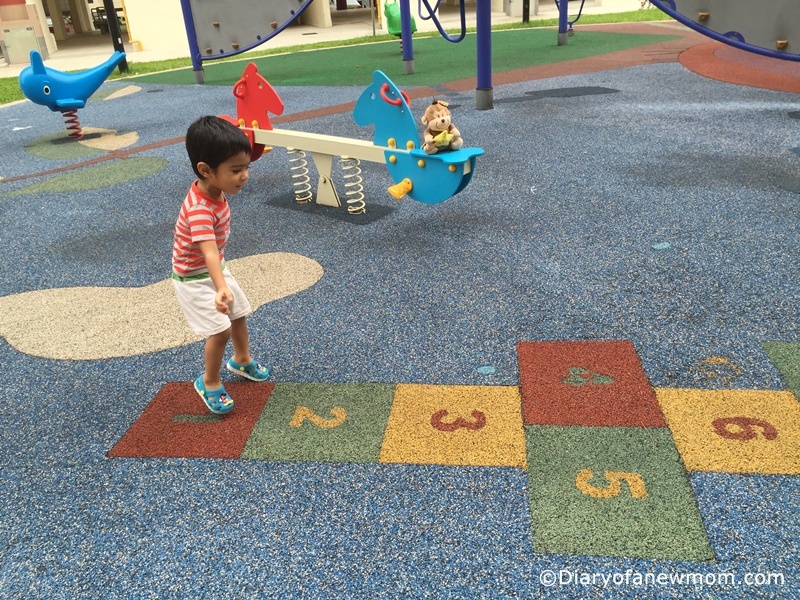 Here are some of the moments of our day at the Ang Mo Kio Hub which we spent mommy and son time while shopping, playing and eating whole day. There is another set of kiddie rides featuring Sesame Street characters.My son loved his time riding School bus of ‘Cookie Monster’. 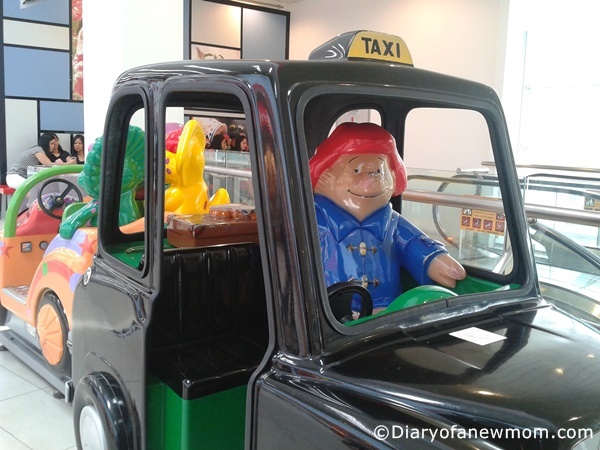 Fun with Sesame Street charactors kiddie rides at AMK Hub. 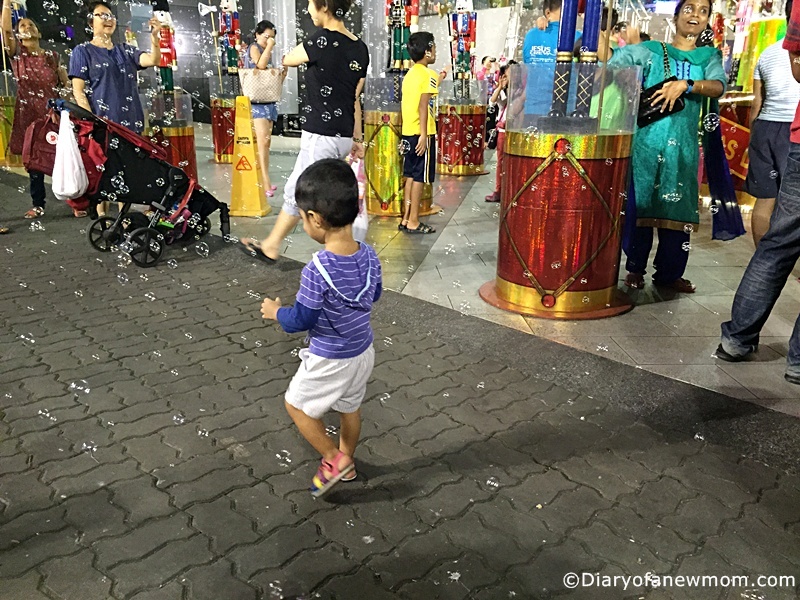 Do you allow kids to play with Kiddie Rides? Teaching kids about value of recycling is really important. I think we don’t have to wait till kids grow to teach them the value of recycling and caring for our mother nature. After I received a leaflet about Tzu Chi Recycling Day, I decided not to collect recyclable items only by myself; instead I wanted to join my toddler with the cause. 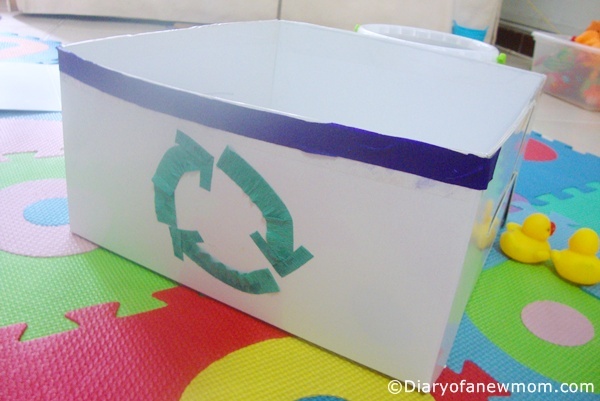 As a start we made this DIY Recycling Bin which is a funful and educational activity to do with toddlers or even with grown up kids. 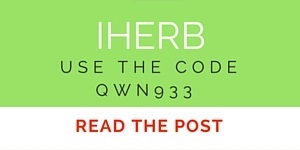 Here is what we did. 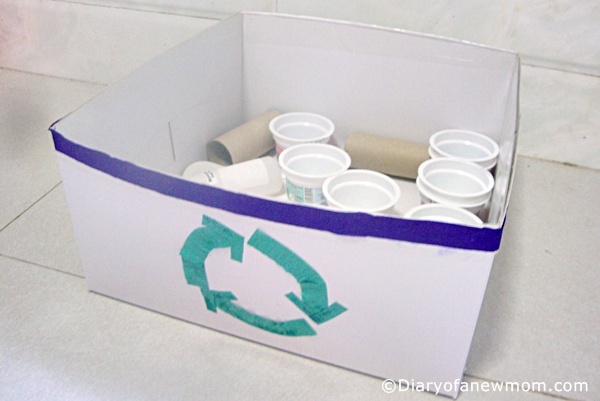 You can add some more ideas to this DIY Recycling Bin and make it more beautiful. 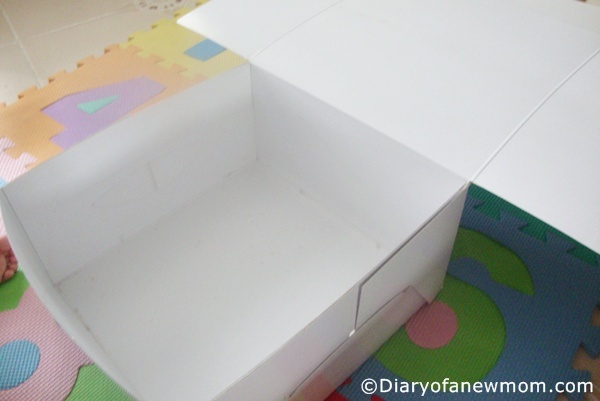 First we removed the lid of the cardboard box. 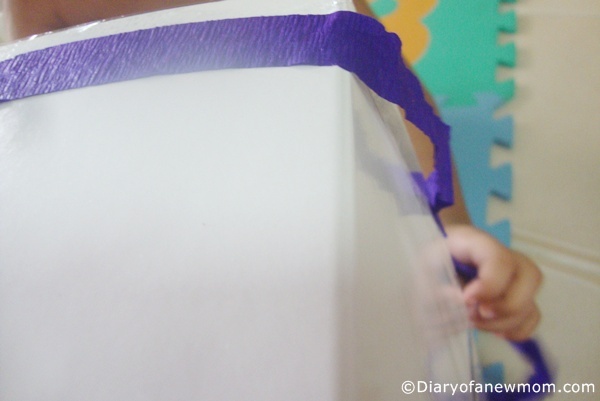 Then I used sellotape on edges to make the box stronger. 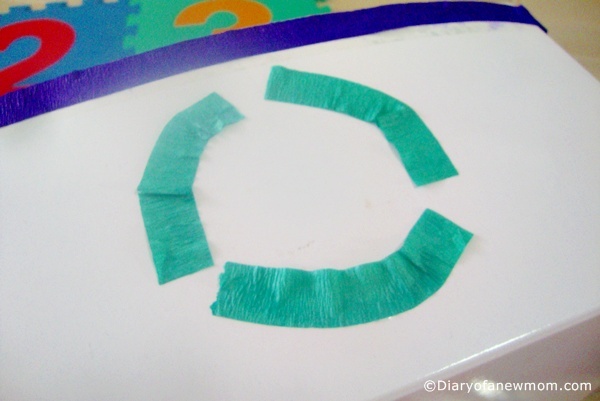 Using the green colour crepe paper we made recycle symbol and we also pasted another purple colour crepe paper on top of the box just to make it beautiful. We have a beautiful Recycling Bin. Now we can collect recyclable materials in this box till the next collection date. Last few days I collected few yogurt cups and milk bottles, so we put those into our recycle box. Remember to wash and clean all items before collecting.After collecting recyclables,it is time to send those to a recycling point in your neighborhood! 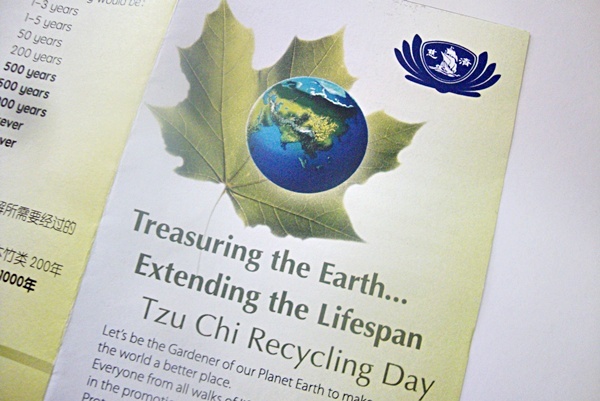 In Singapore, every second Sunday of each month is Tzu Chi Recycling Day. Few days ago Tzu Chi Volunteers visited our neighborhood including our home to encourage residents to collect recyclable items. I missed joining with the April Tzu Chi Recycling Day, but I am preparing to join with the next Recycling Day together with my toddler. Hope I will be able to teach him the value of preserving earth from his young age! 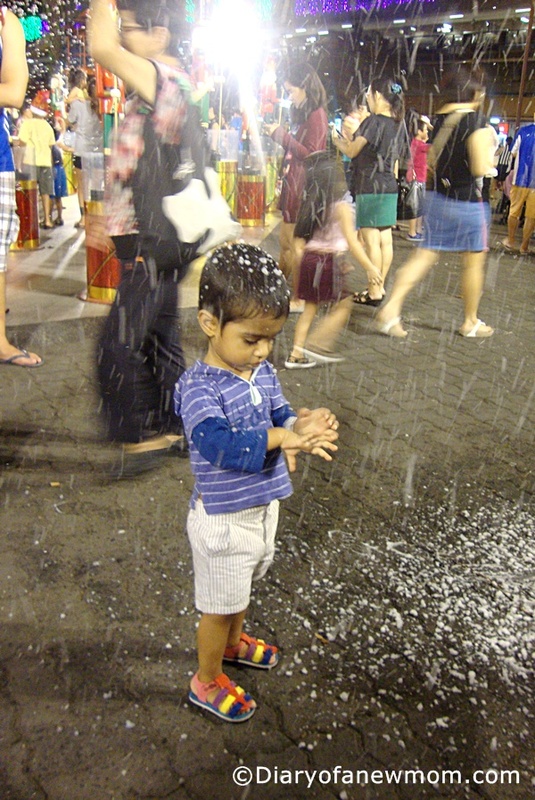 Last week it was a long weekend and a holiday in Singapore as it was Chinese New Year celebrations. In an evening I went out with my son for a short walk around our neighborhood. 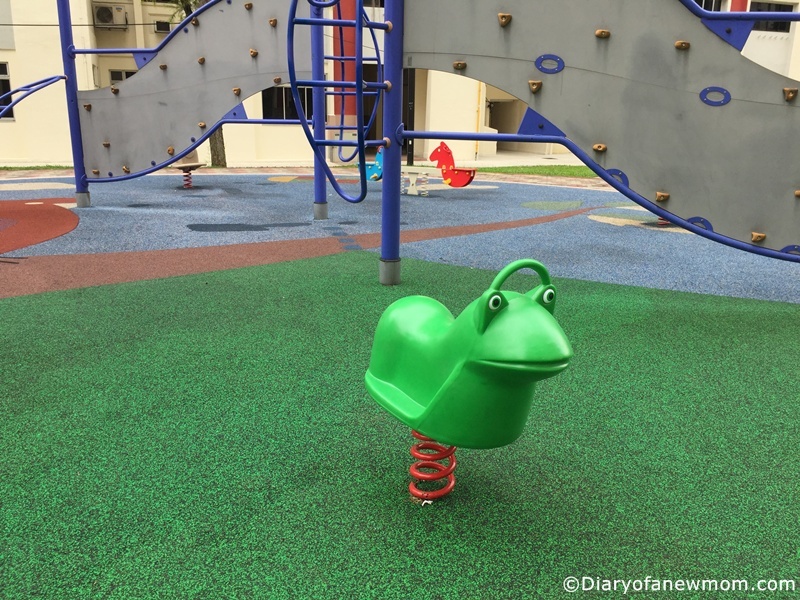 Suddenly we found a children’s playground with new play equipment. 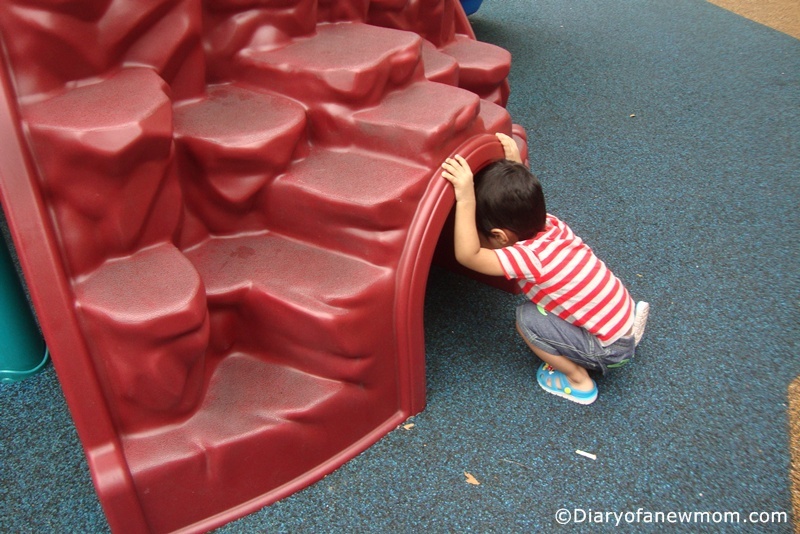 Actually we’ve come here before and at that time the play equipment was not so new. 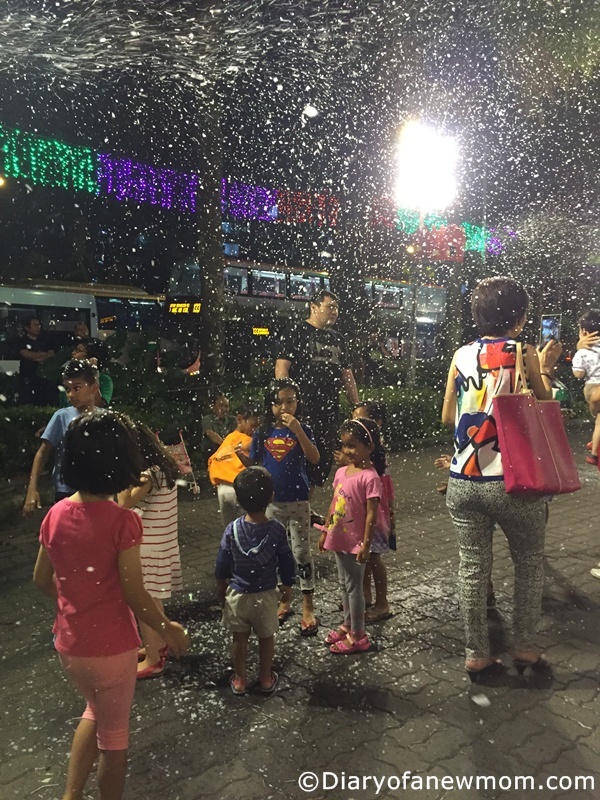 This time I found it is suitable for children over 2years old and found new play equipment such as rocking blue whale, rocking frog and a colorful seesaw. Actually these new play equipment are so colorful. My son had a great time playing there and it was same with me. 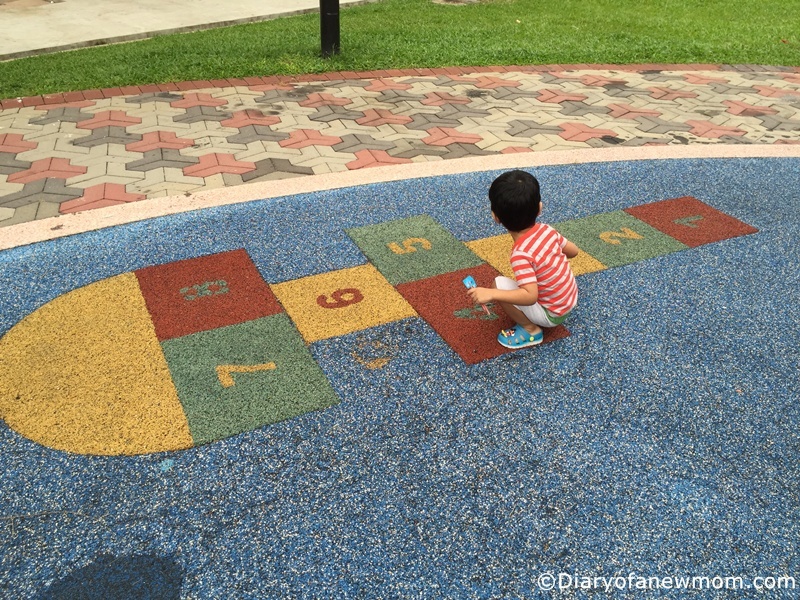 Have you ever played this sidewalk game (Hopscotch) in your childhood? I am so happy with this finding which suddenly reminded me lot if childhood memories. 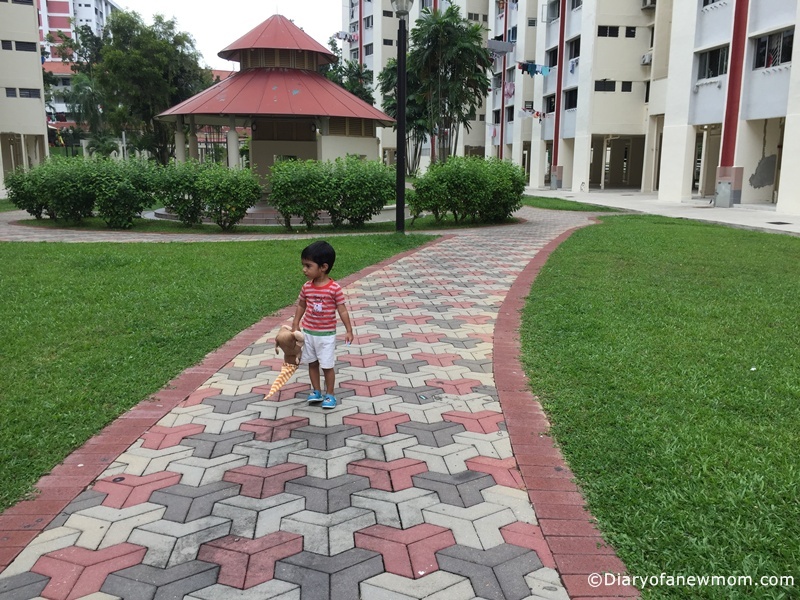 We had great time enjoying our evening walk around the neighborhood,Ang Mo Kio.I am happy to spend such evenings with my son showing and teaching the names of flowers,birds and whatever we find around us. 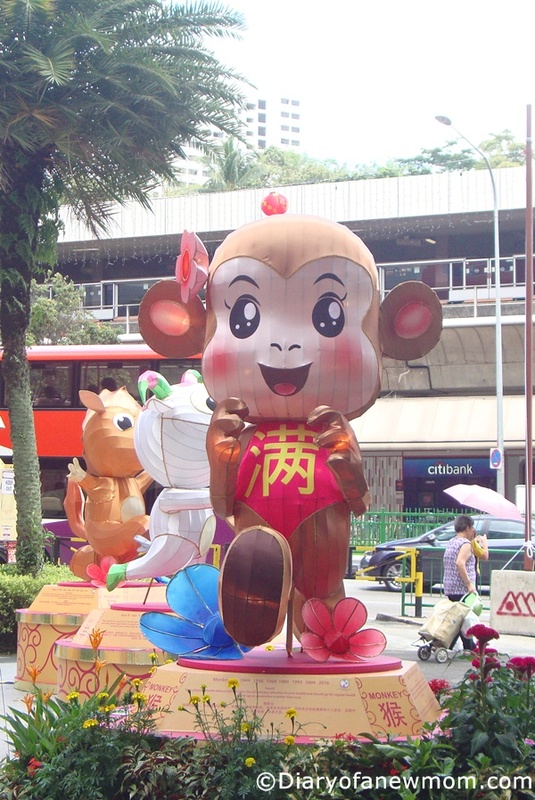 Chinese New Year is around the corner and I can see lot of decorations and preparations for it. It is really exciting. 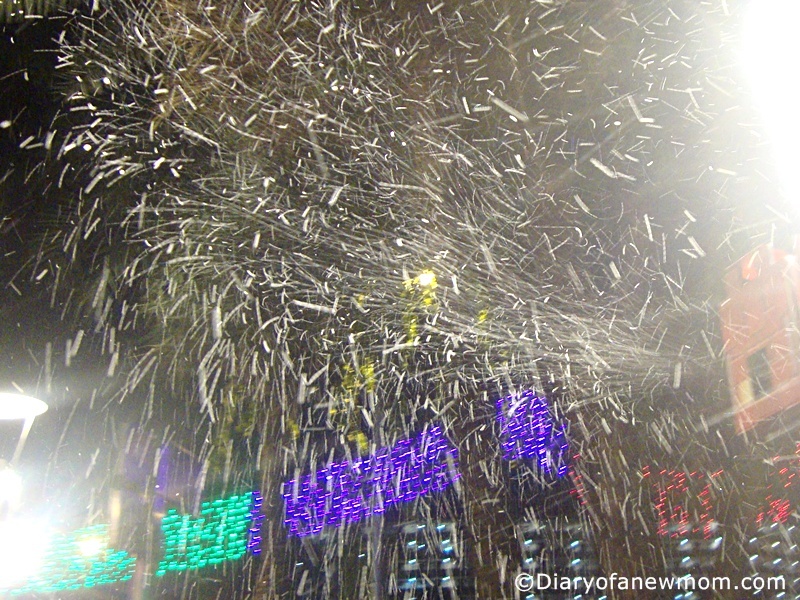 I always enjoy this time because that reminds me the New Year of Sri Lanka which we celebrate in April. 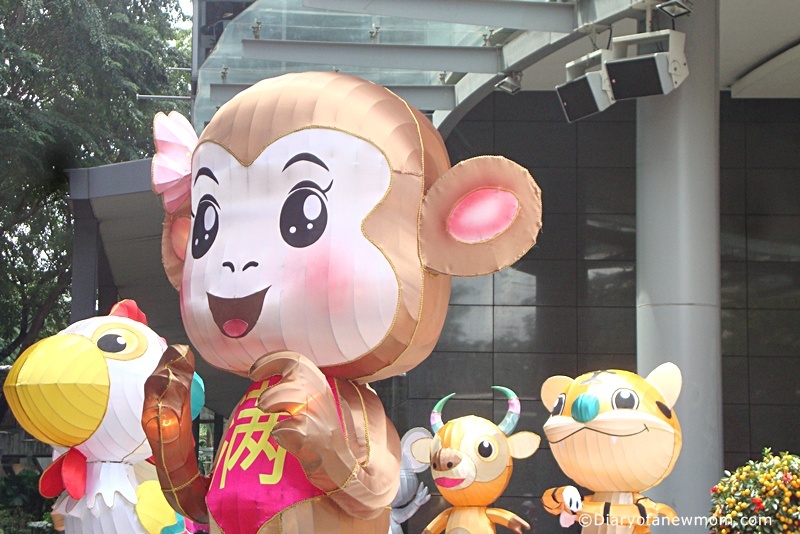 With the Chinese New year, the year is for Monkey. 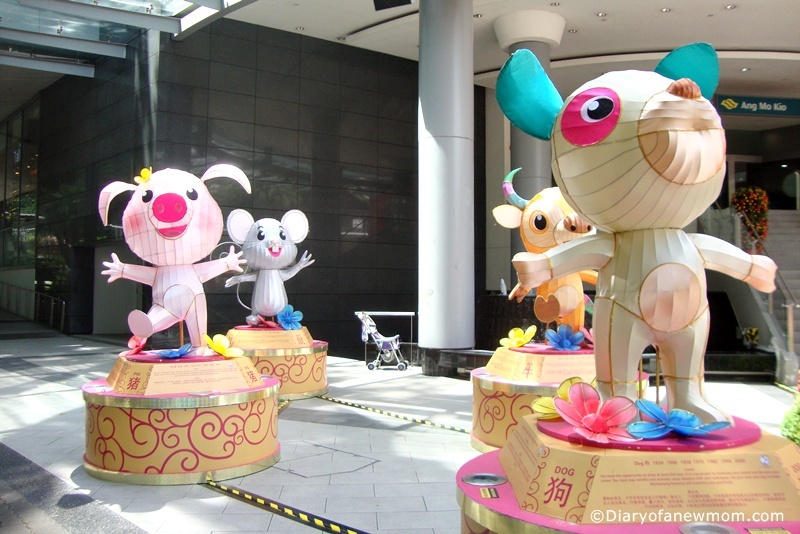 As always, this time also we could see beautiful preparations for Chinese New Year in our nearest shopping mall AMK Hub. 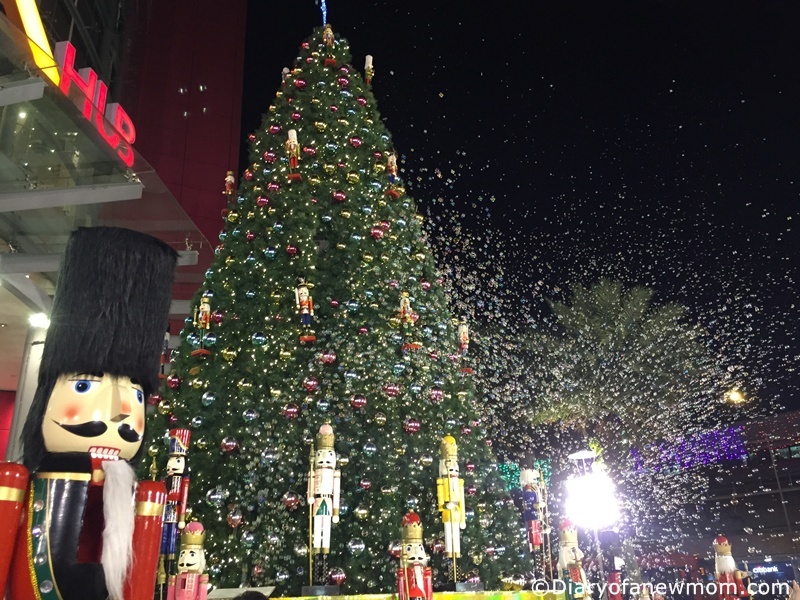 Each year we really like to see the different preparation and decorations to celebrate the events throughout the year. Now, with our son, visiting this place to show him these celebrations is just like a day out. He really enjoys his time with us in this shopping mall. 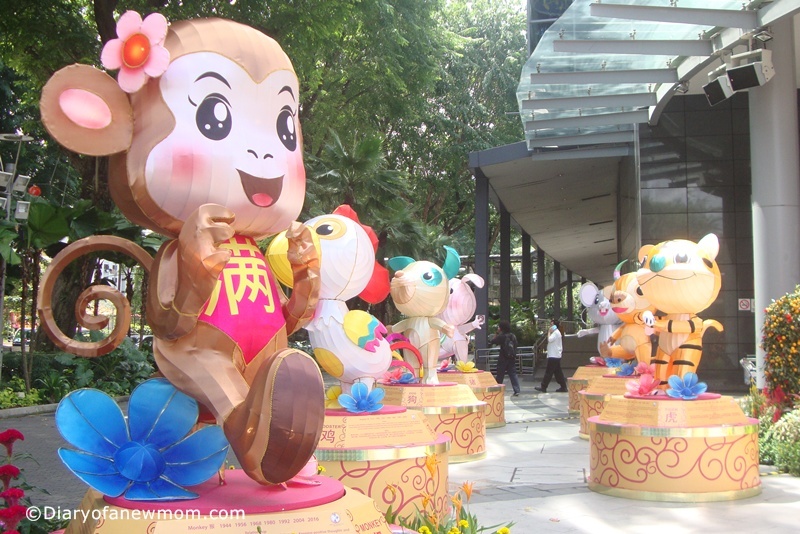 For this Chinese New Year, we could see 12 Large Chinese Zodiac Animals. In each animal, there are forecasts for year 2016 too. 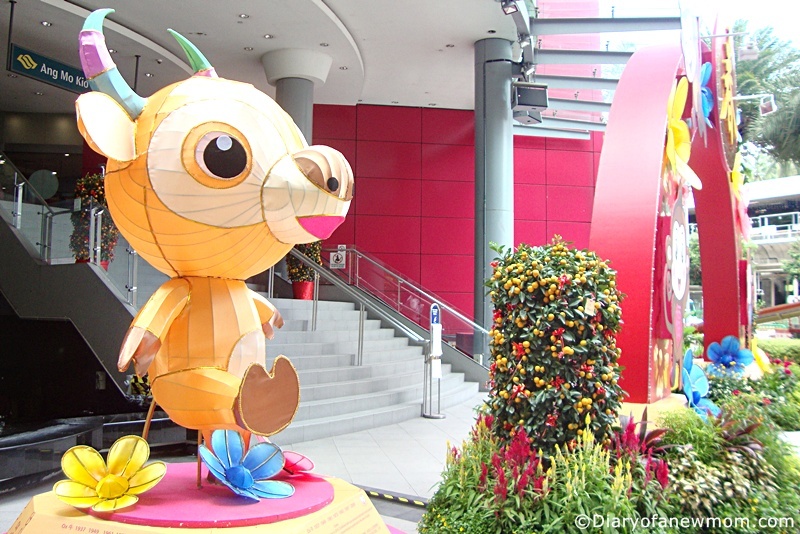 These colourful Zodiac Lanterns welcome the visitors to the shopping mall staying at the entrance. 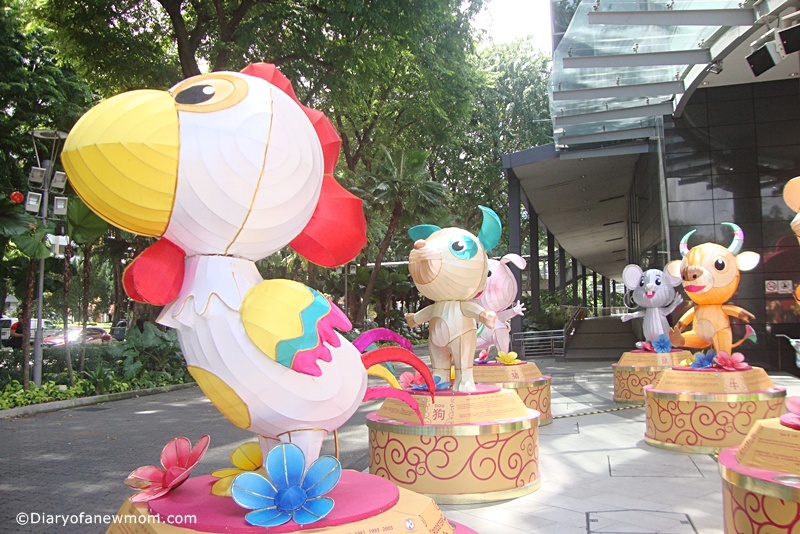 These lanterns are larger than actual life size of animals and those are colourful too. 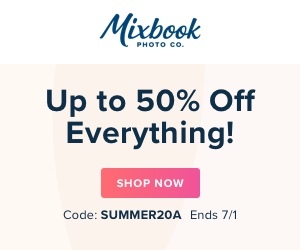 Do you have a photo story to share?Please share with us. 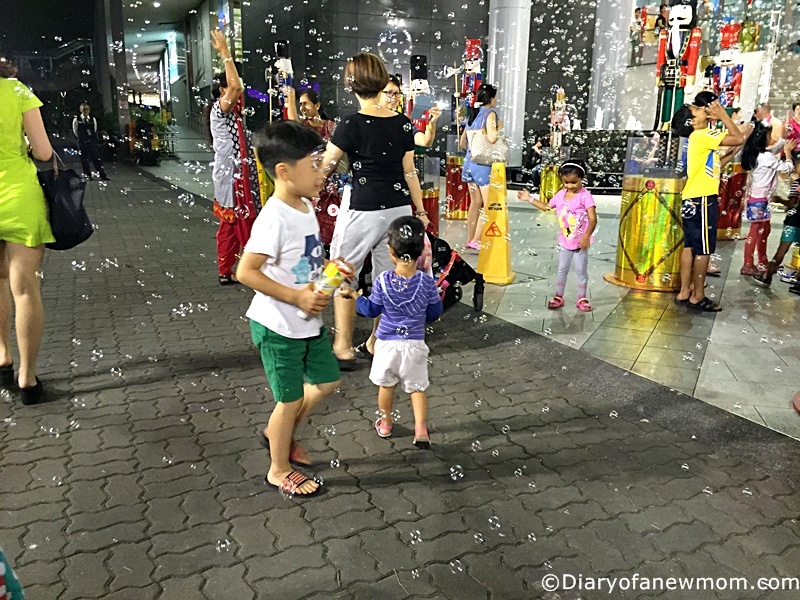 Last week I shared about the Magical Christmas Dream Party at AMK hub.We visited the shopping mall again during the night time to experience the Snowy bubbly show. 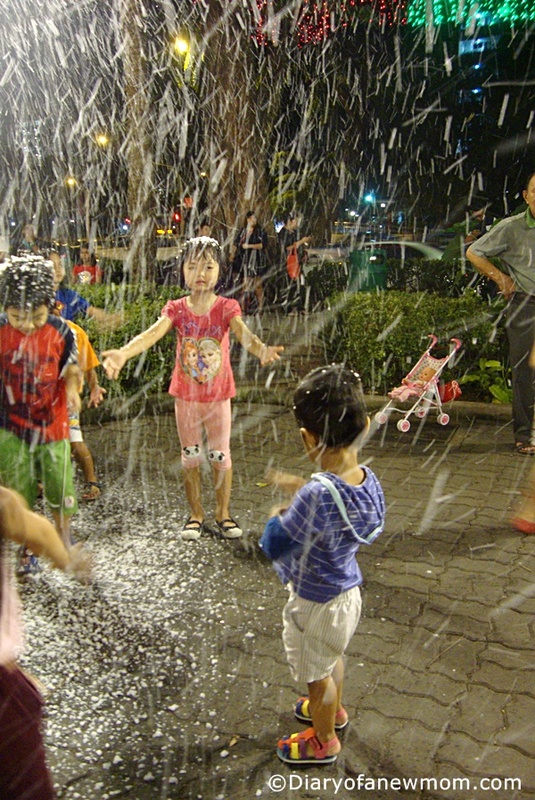 It was fantastic for kids.My son also enjoyed his time catching bubbles and shouting and running here and there with other kids. 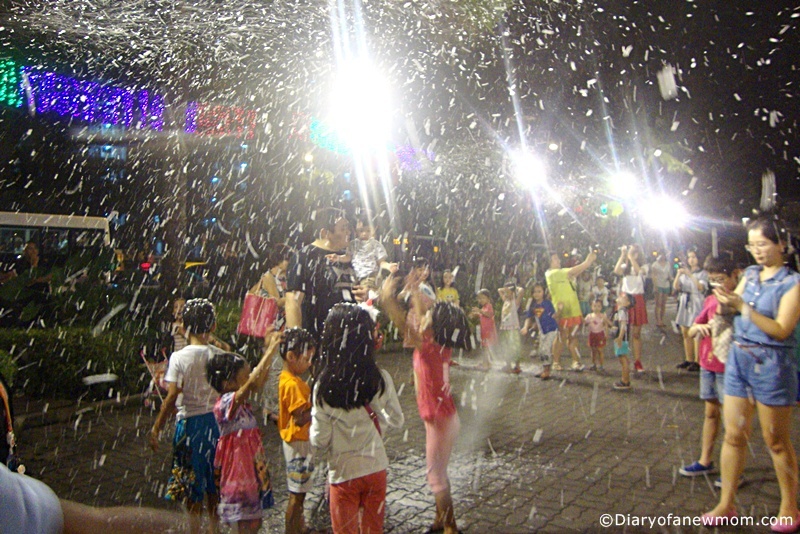 On one side,it was snow effects.Kids had great time experiencing ‘snow’ and it was great for both young and elders. My son was bit surprised with his new experience.He was checking foam on his hands. Finally,it was a great night at AMK hub. 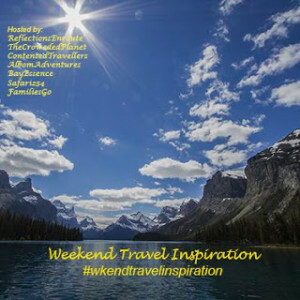 How about your week?Please share your posts with memories and stories. 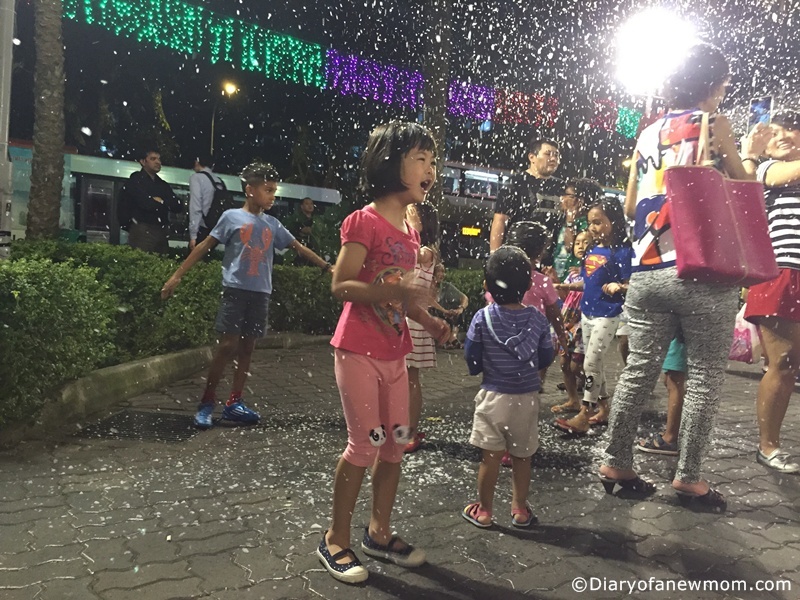 Also Check easy ways to make Christmas memorable for kids. 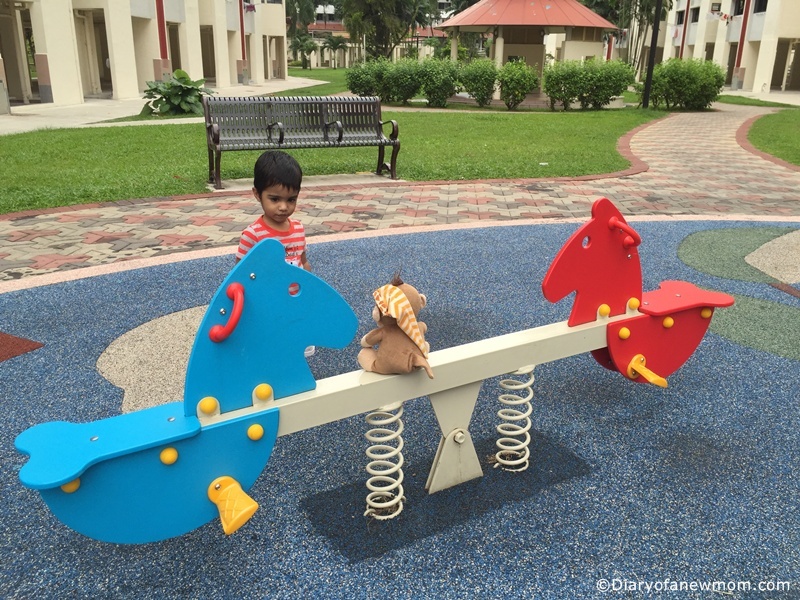 Here is a favorite place for my son whenever we visit AMK hub. 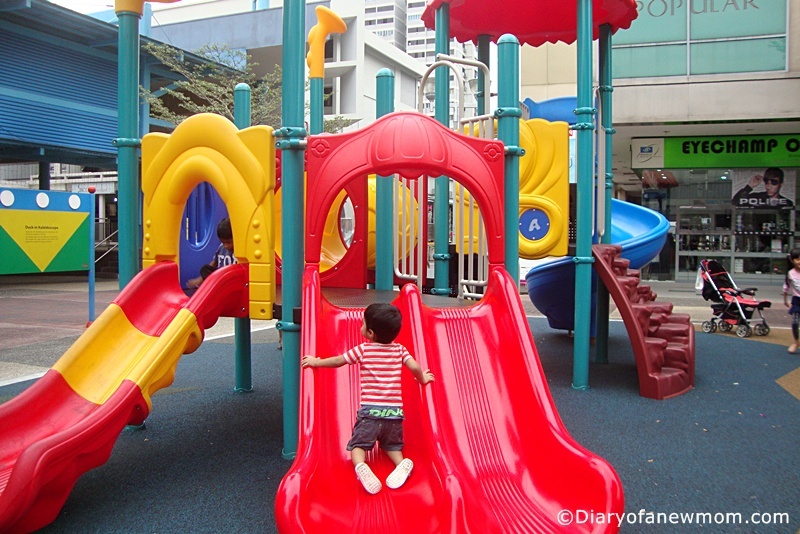 In Singapore, there are kiddie rides areas in almost all shopping malls. Though my son still doesn’t like to have a paid ride (actually he is scared and still 2 years old), he loves to sit inside the cars. These are some photos from a recent visit to AMK hub. He loved sitting and ridding each of these cars. He liked cars and buses,but not the motor bikes. 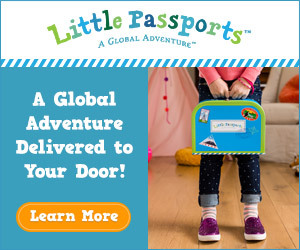 Sharing with link parties,Wordless Wednesdays this week.